Here's a company where the name really says it all..."The Soothing Company". At TheSoothingCompany.com there is that special something for everyone to treat yourself or give as a gift. Their website is broken down into different categories such as Soothing Walls, Soothing Patios, Soothing Massage Chairs, Soothing Fireplaces, Soothing Bean Bag Chairs, and Soothing Aquariums. I can truly get lost window shopping in each and every category! What makes shopping with The Soothing Company so unique is that the customer service is top notch and they provide free shipping with no tax on all of their wonderful items! You can also take advantage of their live help feature to get a truly personalized shopping experience. I had the opportunity to review one of The Soothing Company's water fountains. This was really exciting as my husband and I have been in the works of getting our backyard landscaped just the way we want it. 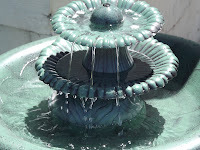 Below is a picture of the water fountain I had the pleasure of reviewing, their Alpine 3 Tier Fountain. This Alpine 3 Tier Fountain is lightweight, yet is made from durable fiberglass construction. My husband was able to put the fountain together in under 15 minutes, so I would definitely say that's a plus right there in my book! 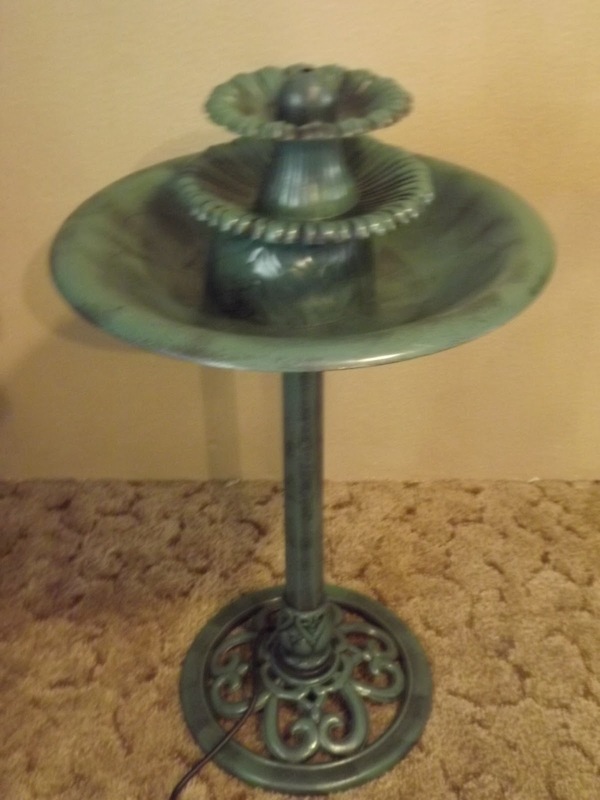 While I still need to go get the bushes I plan on planting around this fountain, it is all set up outside and I have already had some wonderful comments on it from my neighbors. I would highly recommend stopping over at TheSoothingCompany.com to have a look around at all their wonderful products. My experience with their company and this particular product was fantastic! * Disclosure: I received a product from the above mentioned company in exchange for my honest review. All opinions expressed in this review are 100% mine and are not a result of any outside influence.